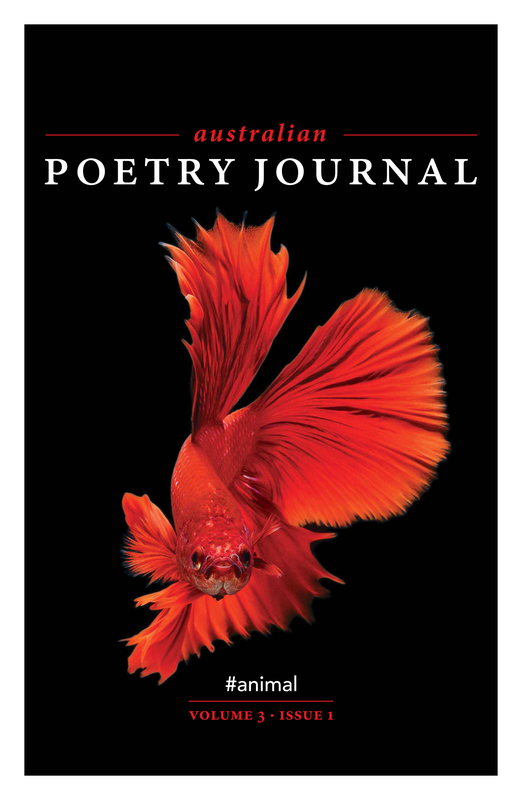 If you would like to receive print copies of Australian Poetry Journal biannually, along with Australian Poetry Anthology annually, please subscribe to Australian Poetry below. 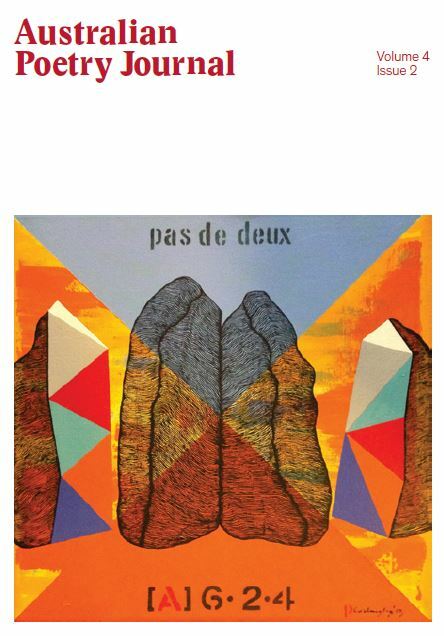 Australian Poetry is the only print-form literary journal dedicated to the publishing of Australian poetry, across forms. Interviews, reviews, profiles, essays and features about the poetics and experience of Australian poets, and related participants, such as publishers, accompany the poems. 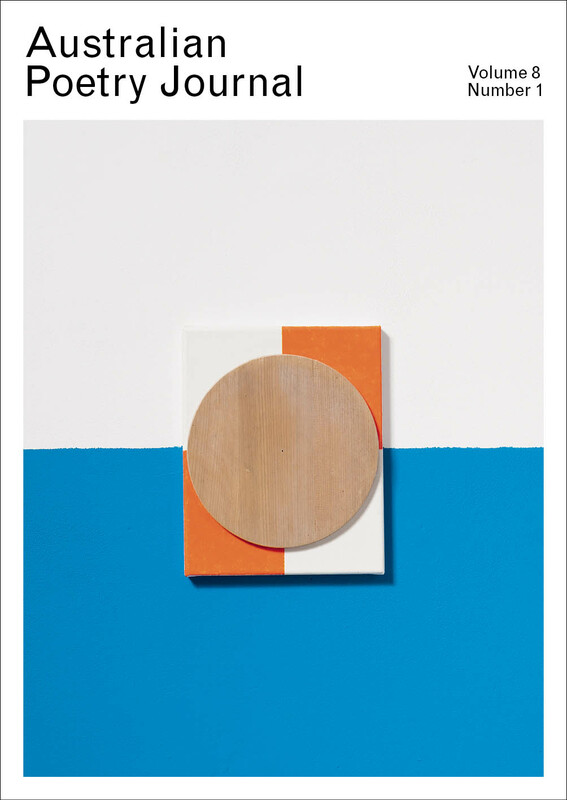 Artwork by contemporary Australian artists, selected on a state-by-state basis, is showcased in the cover work of both the Journal and the annual Anthology. Across the history of the publication of APJ, we have published some 350 writers across multiple genres and platforms, including multimedia and concrete: this constitutes more than 300 poets, along with critics, essayists and specialist poetry reviewers. Past editors include Michael Sharkey and editor Bronwyn Lea. Australian Poetry now operates on co-editorships. 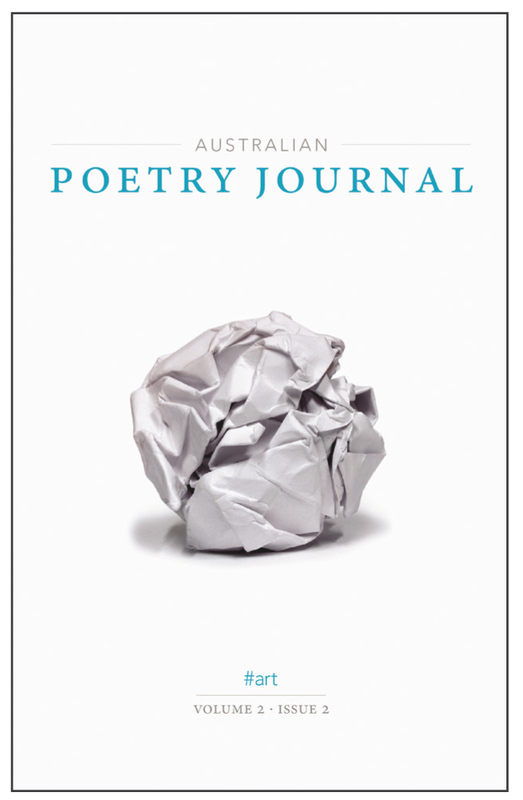 From Australian Poetry Journal 6.1 onward, we will be offering digital versions of the Journal for download. These will only be available to subscribers. Published with the support of Australia Council for the Arts Projects Grant 2018. The festival poems were commissioned with the support of the Copyright Agency Cultural Fund. ‘Australian Poetry Journal’, Volume 8.1, features new works by more than 50 Australian poets, with poetry guest-edited by prominent Australian poet, critic and editor, Gig Ryan. Alongside her curating are curious and insightful articles and reviews, including an interview with the three editors responsible for Lionel Fogarty’s New & Selected Poems (re:press, 2017), a tribute to John Forbes on the 20th anniversary year of his premature death, and a wrap-up of this year’s 2018 AP/NAHR Northern Italian eco-poetics fellowship, awarded to Eunice Andrada. 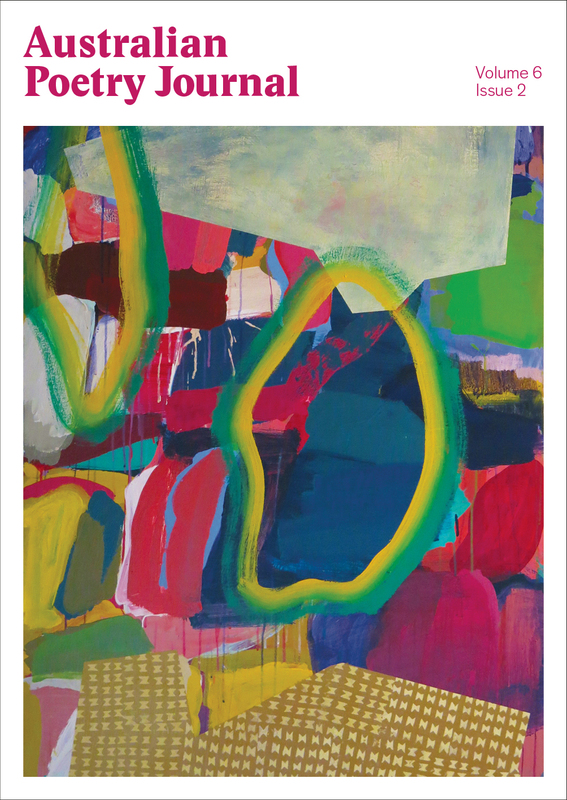 John Nixon is represented by Anna Schwartz Gallery. In the second of a new series of ‘Australian Poetry Journal’, Volume 7.2– ‘work’ features new works by 40 Australian poets, with poetry guest-edited by Benjamin Laird and Cassandra Atherton. Alongside their curating is a separate long collections of poems by ten poets commissioned to write new works for the New Shoots Victoria project presented at Melbourne Writers Festival 2017, along with their poetic ‘Reflections’, and the three new poems commissioned for the Voices of Trees project presented at the Digital Writers’ Festival 2017. AP thanks all partners involved in these projects, including Red Room Poetry and the Royal Botanic Gardens Victoria. 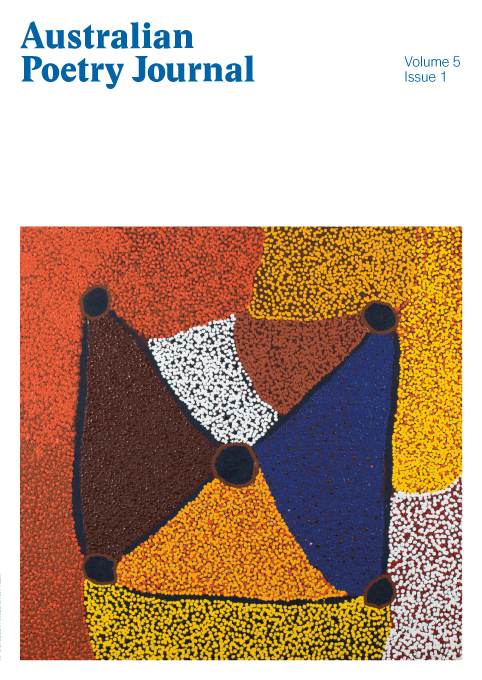 In the first of a new series of ‘Australian Poetry Journal’, Volume 7.1 – ‘skin’ features new works by 28 Aboriginal and Torres Strait Islander poets, with poetry guest-edited by two of the country’s most prominent Aboriginal poets – Ali Cobby Eckermann and Ellen van Neerven. Alongside their curating of two extensive sets of poems, is a separate long collections of poems by 12 poets commissioned to write new works fpr Australian Poetry’s major capital city and emerging literary festival events; this project is edited by Toby Fitch. In Michael Sharkey’s last issue as editor, a focus on poets and poetry from Tasmania. 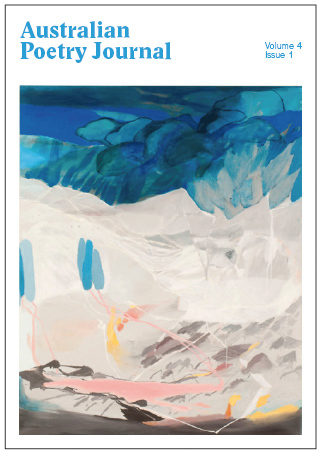 Poems by Lucas Smith, Jane Williams, Ron Petty, Rachael Guy, Emilia Maggio; essays by Zeina Issa and Chris Ringrose; reviews by Vrasidas Karalis and Petra White, front cover artwork by Tasmanian artist Julia Castiglioni, and much more by many others. In this issue, concatenations: large and small celebrations, deaths of poets, a curious run of eulogies and the fortuitous confluence of several essays on poetry by women and women in publishing. 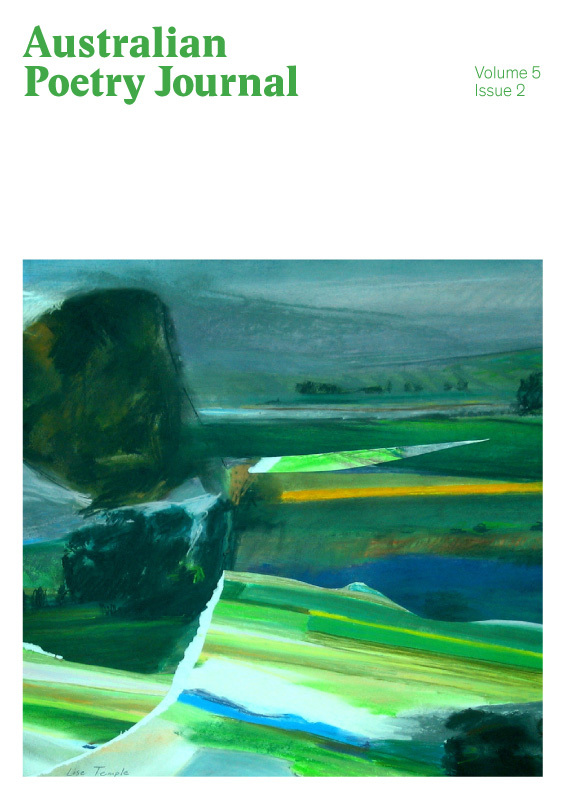 Poems by Sam Wagan Watson, Judith Beveridge, Atheer Al-Khalfa; essays by Helen Nickas and Carol Jenkins, interview by Heather Taylor Johnson; reviews by Charlotte Clutterbuck, John Hawke and Tracy Ryan, front cover artwork by Winifred Belmont, and much more by many others. Essays by Dan Disney, Un Gyung Yi and Daye Jeon, Adrian Caesar, Nicolette Stasko, RD Wood, reviews by Julian Croft and Caitlin Maling, and poetry by Ken Chau, Lesley Lebkowicz, Ivy Alvarez, Josh Mei-Ling Dubrau, front cover artwork by Lise Temple and much more by many others. Includes an essay by Bonny Cassidy, a review by Andy Jackson, an interview with Samuel Wagan Watson by Paul Magee, poems by Jane Frank, Lynne Arjava, Ouyang Yu, Anne Caitlin Maling, front cover artwork by Kampala Girgiba and much more by many others. 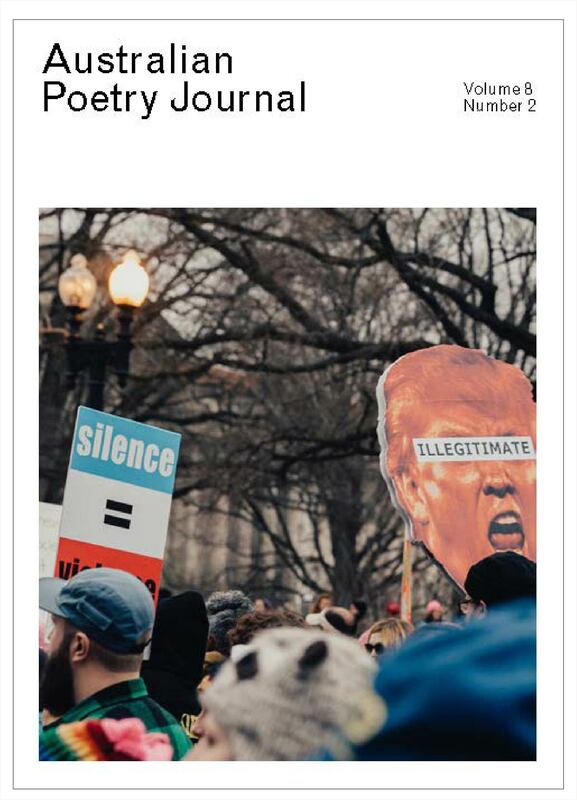 Read about the tension between politics and poetics, topics from the far left to the far right and the links between ideology and ideal words. With an interview by Vivian Gerrand, reviews by Michelle Borzi and Christopher Ringrose, essays by Oscar Schwartz and Simon Patton, poems y Ali Jane Smith, Sergio Holas, Penny O’Hara, front cover artwork by Philip Cordingly and much more by many others. Essays by Ali Jane Smith, Philip Salom, Peter Kirkpatrick; poems by Anne M. Carson, Yve Louis, Jane Williams, Connie Barber; reviews by Martin Duwell, Morgan Yasbincek, front cover artwork by Amber Wallis, and much more by many others. In her fifth and final volume as the editor of Australian Poetry Journal, #concrete, Bronwyn Lea shines a light on the Australian and international poets who are bringing language in all its iterations to the forefront of their work. 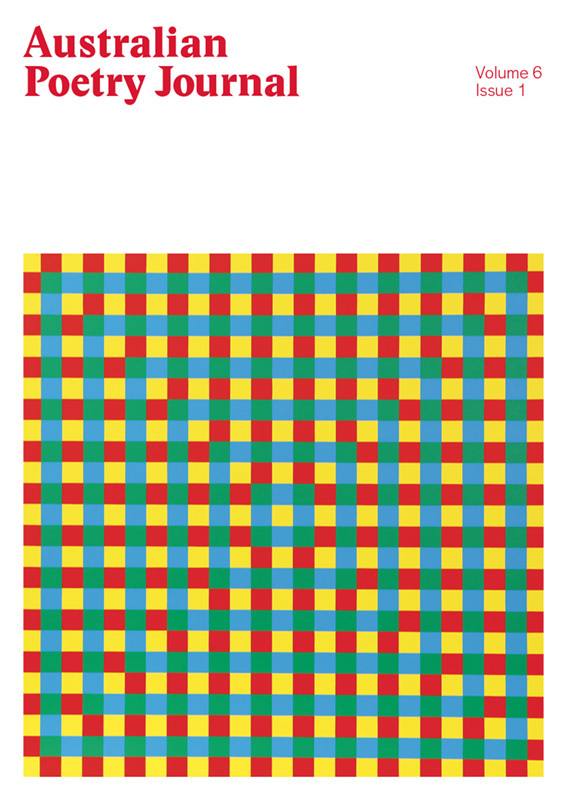 For the first time, the journal also includes colour pages, highlighting the importance and effectiveness of the visual aspects of concrete poetry. Poetry by Toby Fitch, Angela Gardner, Amarilys Quintero Ruiz, Michael Farrell, Ibrahim Abu Touq, spotlight by π.o. ; criticism by Alison Clifton, Alex Selenitsch and much more by many others. Editor: Bronwyn Lea ; Designer: Tiara Queen. Humans may prefer to distinguish themselves from all other multicellular, eukaryotic organisms, but ‘humans’ live only in the philosopher’s imagination. In the eyes of biologists we are Homo sapiens of Kingdom Animalia. 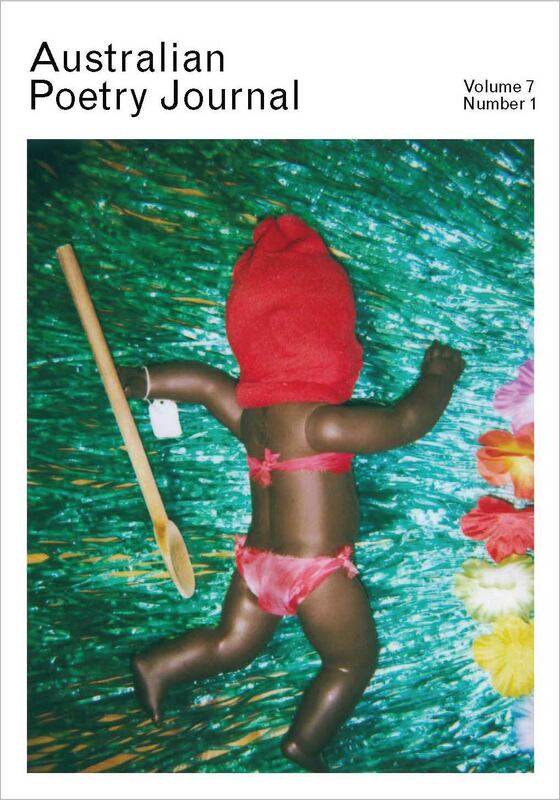 Questions of taxonomy come under the microscope in this edition of Australian Poetry Journal. Poetry by Sarah Day, John Kinsella, Maria Takolander; spotlight by Anthony Laurence, criticism by David McCooey, Melissa Ashley and much more by many others. #art features new poetry by renowned Australian and international poets, including Christian Bök, Luke Davies, Diane Fahey, Sarah Holland-Batt, Carmen Leigh Keates, Anthony Lawrence, Rosanna Licari, Nikola Madzirov, Iman Mersal, Peter Rose, Philip Salom, spotlight by Robert Adamson, criticism by Kate Lilley, Stuart Cooke and much more by many others. 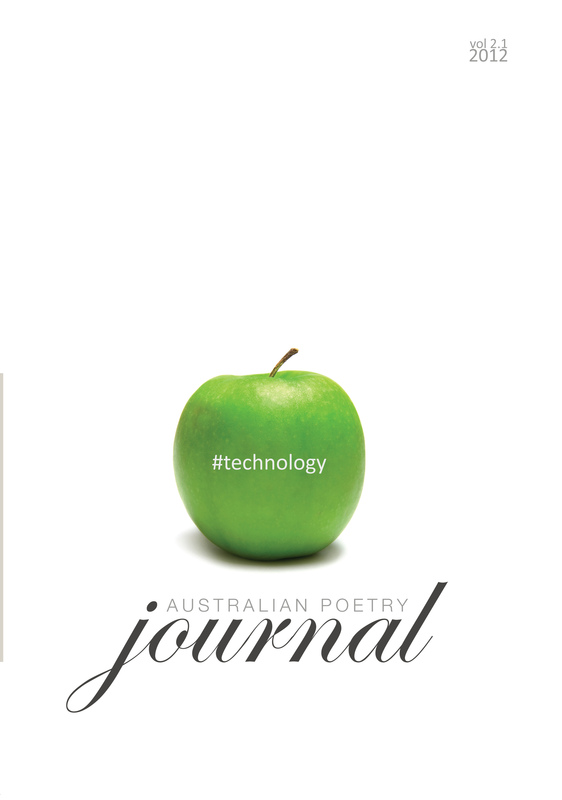 This issue #technology, includes new poetry from poets across the country including Margaret Bradstock, Amy Brown, Michael Farrell, John Kinsella and Maria Takolander as well as international poets Sudeep Sen, Alvin Pang and Ron Winkler. 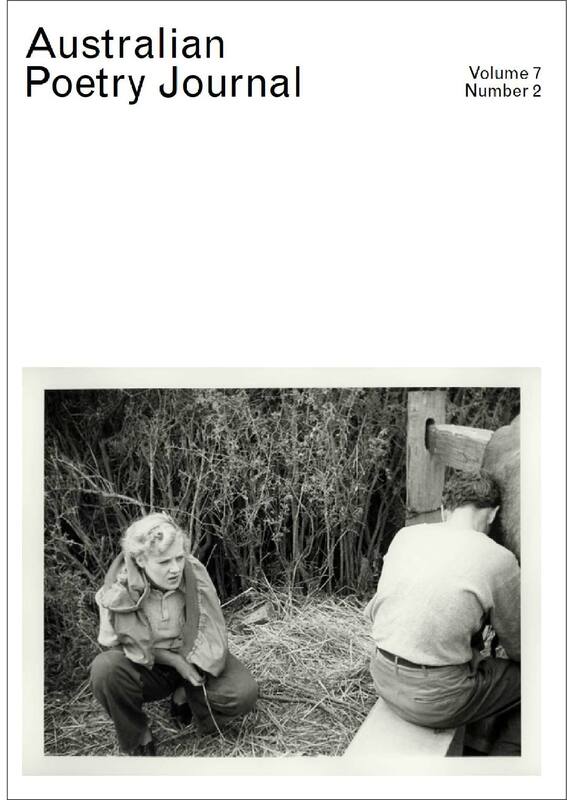 Also featured is Felicity Plunkett’s spotlight on the poetry of Gwen Harwood, a review of Australian poetry from 1788 – 2012, and book reviews of recent poetry collections along with criticism by Martin Duwell and Michael Sharkey. 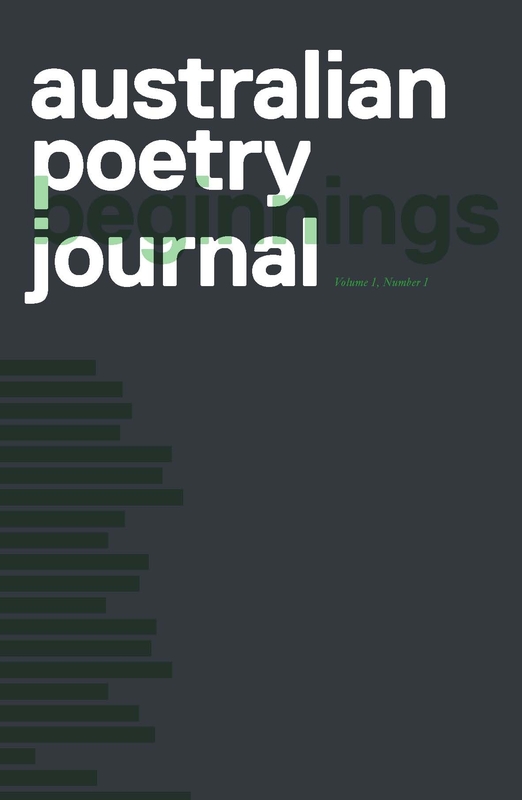 The inaugural issue of Australian Poetry Journal contemplates what poets talk about when they talk about beginnings: fifty poems by celebrated as well as new voices, poetry reviews and criticism, spotlight on the past, publishing news, and more. 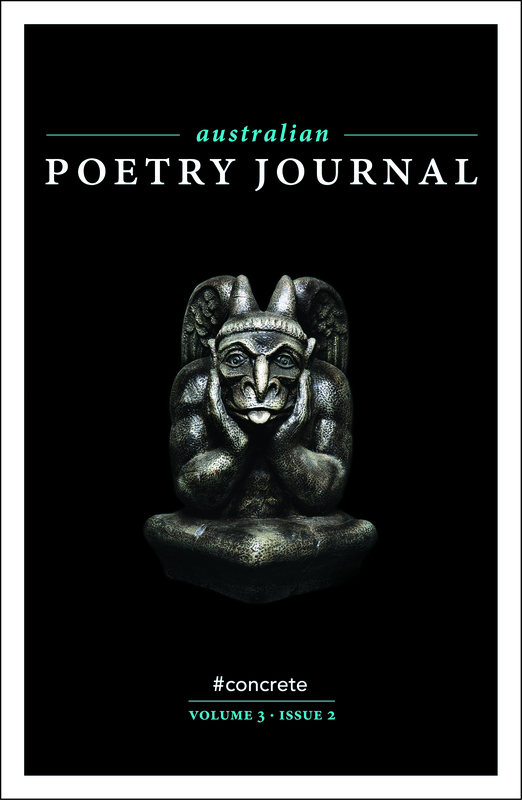 Poetry by John Kinsella, Jill Jones, Clive James, Misbah Khokhar; criticism by Bonny Cassidy; spotlight by Judith Beveridge and much more by many others.